“What man actually needs is not a tensionless state but rather the striving and struggling for some goal worthy of him. What he needs is not the discharge of tension at any cost, but the call of a potential meaning waiting to be fulfilled by him.” Victor Emil Frankl (1905 – 1997), Austrian neurologist, psychiatrist and Holocaust survivor, devoted his life to studying, understanding and promoting “meaning.” His famous book, Man’s Search for Meaning, tells the story of how he survived the Holocaust by finding personal meaning in the experience, which gave him the will to live through it. He went on to later establish a new school of existential therapy called logotherapy, based in the premise that man’s underlying motivator in life is a “will to meaning,” even in the most difficult of circumstances. Frankl pointed to research indicating a strong relationship between “meaninglessness” and criminal behaviors, addictions and depression. Without meaning, people fill the void with hedonistic pleasures, power, materialism, hatred, boredom, or neurotic obsessions and compulsions. Some may also strive for Suprameaning, the ultimate meaning in life, a spiritual kind of meaning that depends solely on a greater power outside of personal or external control. Striving to find meaning in one’s life is the primary motivational force in man (Frankl 1992, p. 104). While Frankl rarely touches on the topic of the pursuit of happiness, he is very concerned with satisfaction and fulfillment in life. We can see this in his preoccupation with addressing depression, anxiety and meaninglessness. 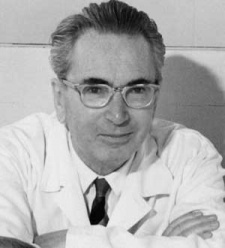 Frankl points to research indicating a strong relationship between “meaninglessness” and criminal behavior, addiction and depression. He argues that in the absence of meaning, people fill the resultant void with hedonistic pleasures, power, materialism, hatred, boredom, or neurotic obsessions and compulsions (Frankl 1992, p. 143). Viktor Frankl was an Austrian neurologist and psychologist who founded what he called the field of “Logotherapy”, which has been dubbed the “Third Viennese School of Psychology” (following Freud and Alder). Logotherapy developed in and through Frankl’s personal experience in the Theresienstadt Nazi concentration camp. The years spent there deeply affected his understanding of reality and the meaning of human life. His most popular book, Man’s Search for Meaning, chronicles his experience in the camp as well as the development of logotherapy. During his time there, he found that those around him who did not lose their sense of purpose and meaning in life were able to survive much longer than those who had lost their way. In The Will to Meaning, Frankl notes that “logotherapy aims to unlock the will to meaning in life.” More often than not, he found that people would ponder the meaning of life when for Frankl, it is very clear that, “it is life itself that asks questions of man.” Paradoxically, by abandoning the desire to have “freedom from” we take the “freedom to” make the “decision for” one’s unique and singular life task (Frankl 1988, p. 16). Logotherapy developed in a context of extreme suffering, depression and sadness and so it is not surprising that Frankl focuses on a way out of these things. His experience showed him that life can be meaningful and fulfilling even in spite of the harshest circumstances. On the other hand, he also warns against the pursuit of hedonistic pleasures because of its tendency to distract people from their search for meaning in life. Only when the emotions work in terms of values can the individual feel pure joy (Frankl 1986, p. 40). In the pursuit of meaning, Frankl recommends three different courses of action: through deeds, the experience of values through some kind of medium (beauty through art, love through a relationship, etc.) or suffering. While the third is not necessarily in the absence of the first two, within Frankl’s frame of thought, suffering became an option through which to find meaning and experience values in life in the absence of the other two opportunities (Frankl 1992, p. 118). Human freedom is not a freedom from but freedom to (Frankl 1988, p. 16). As mentioned above, Frankl sees our ability to respond to life and to be responsible to life as a major factor in finding meaning and therefore, fulfillment in life. In fact, he viewed responsibility to be the “essence of existence” (Frankl 1992, 114). He believed that humans were not simply the product of heredity and environment and that they had the ability to make decisions and take responsibility for their own lives. This “third element” of decision is what Frankl believed made education so important; he felt that education must be education towards the ability to make decisions, take responsibility and then become free to be the person you decide to be (Frankl 1986, p. xxv). Frankl is careful to state that he does not have a one-size-fits all answer to the meaning of life. His respect for human individuality and each person’s unique identity, purpose and passions does not allow him to do otherwise. And so he encourages people to answer life and find one’s own unique meaning in life. When posed the question of how this might be done, he quotes from Goethe: “How can we learn to know ourselves? Never by reflection but by action. Try to do your duty and you will soon find out what you are. But what is your duty? The demands of each day.” In quoting this, he points to the importance attached to the individual doing the work and the manner in which the job is done rather than the job or task itself (Frankl 1986, p. 56). Frankl’s logotherapy utilizes several techniques to enhance the quality of one’s life. First is the concept of paradoxical Intention, wherethe therapist encourages the patient to intend or wish for, even if only for a second, precisely what they fear. This is especially useful for obsessive, compulsive and phobic conditions, as well as cases of underlying anticipatory anxiety. Another technique is that of dereflection, whereby the therapist diverts the patients away from their problems towards something else meaningful in the world. Perhaps the most commonly known use of this is for sexual dysfunction, since the more one thinks about potency during the sexual act, the less likely one is able to achieve it. The following is a transcript from Frankl's advice to Anna, 19-year old art student who displays severe symptoms of incipient schizophrenia. She considers herself as being confused and asks for help. Patient: What is going on within me? Frankl: Don't brood over yourself. Don't inquire into the source of your trouble. Leave this to us doctors. We will steer and pilot you through the crisis. Well, isn't there a goal beckoning you – say, an artistic assignment? Patient: But this inner turmoil …. Frankl: Don't watch your inner turmoil, but turn your gaze to what is waiting for you. What counts is not what lurks in the depths, but what waits in the future, waits to be actualized by you…. Patient: But what is the origin of my trouble? Patient: Doctor, I believe in what you say. It is a message which makes me happy. Finally, the logotherapist tries to enlarge the patient's discernment of meaning in at least three ways: creatively, experientially and attitudinally. Frankl writes that "The logotherapist's role consists in widening and broadening the visual field of the patient so that the whole spectrum of meaning and values becomes conscious and visible to him". A major source of meaning is through the value of all that we create, achieve and accomplish. Frankl writes "Let us ask a mountain-climber who has beheld the alpine sunset and is so moved by the splendor of nature that he feels cold shudders running down his spine – let us ask him whether after such an experience his life can ever again seem wholly meaningless" (Frankl,1965). Frankl asked "What would have happened if you had died first, and your wife would have had to survive you." "Oh," replied the patient, "for her this would have been terrible; how she would have suffered!" Frankl continued, "You see such a suffering has been spared her; and it is you who have spared her this suffering; but now, you have to pay for it by surviving her and mourning her." The man said no word, but shook Frankl's hand and calmly left his office (Frankl, 1992). Frankl’s surprising resilience amidst his experiences of extreme suffering and sadness speaks to how his theories may have helped him and those around him. As the alarming suicide and depression rates among young teenagers and adults in the United States continue, his call to answer life’s call through logotherapy may be a promising resource. Frankl, Victor (1992). Man's Search for Meaning. (4th ed.). Boston, MA: Beacon Press. Frankl, Victor (1986). The Doctor and the Soul. (3rd ed.). New York, NY: Vintage Books. Frankl, Victor (1967). Psychotherapy and Existentialism. New York, NY: Washington Square Press. Frankl, Victor (1988). The Will to Meaning: Foundations and Applications of Logotherapy. New York, NY: Penguin Books. Frankl, Victor (2000). Recollections: An Autobiography. New York, NY: Perseus Books.